This scene along SE 28th Avenue near Eastmoreland shouldn’t be too far from our previous photo along 28th. 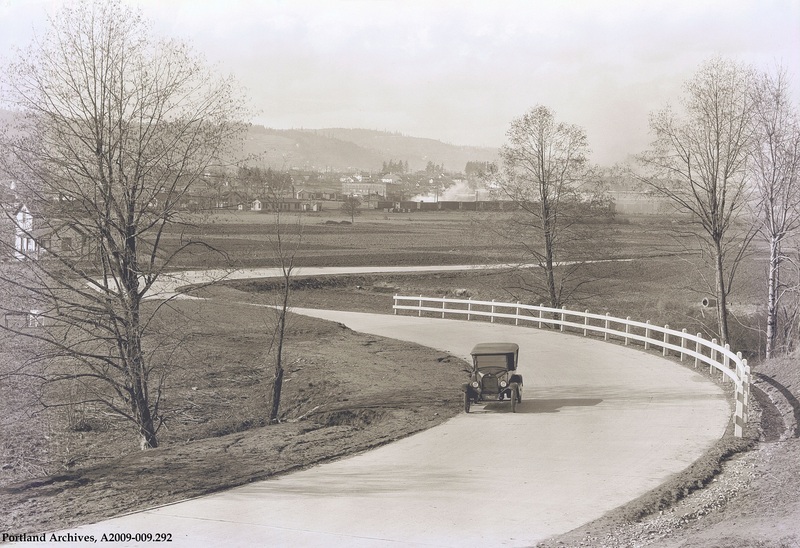 The white house in the distance on the right may be at SE Schiller Street. A nicely detailed top-down image of the Reed College, including parts of Eastmoreland, Westmoreland and Woodstock areas in 1940. This view has the south at the top. 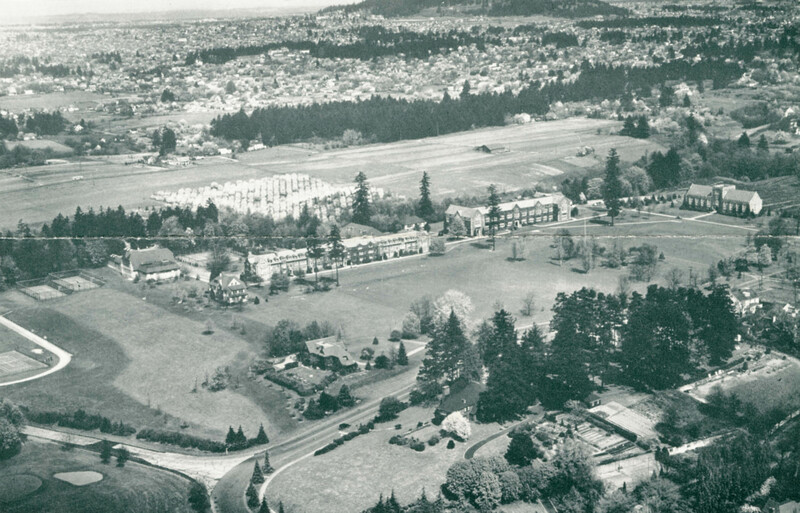 Southeast Portland’s Reed College campus is shown looking northeast in this nice 1940 aerial view. 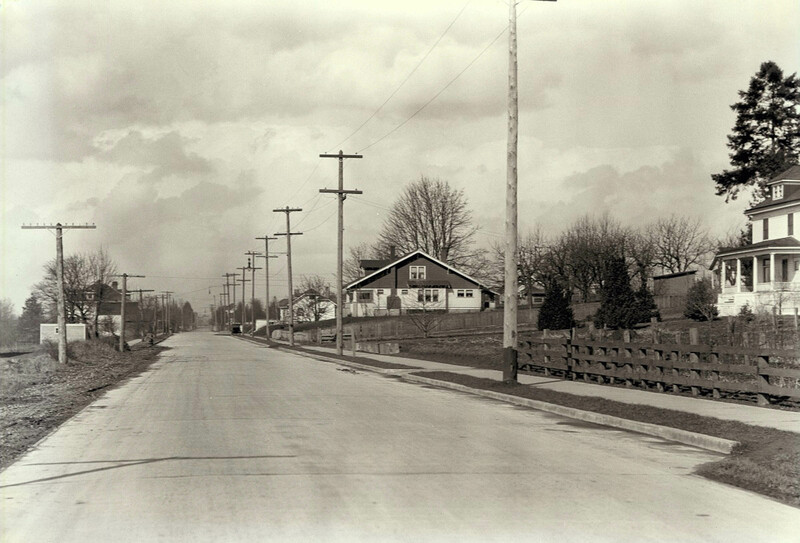 SE 28th Avenue and Woodstock Blvd. meet in the lower left corner. Those look like tents to the north of the campus; anyone have any idea what those could be? 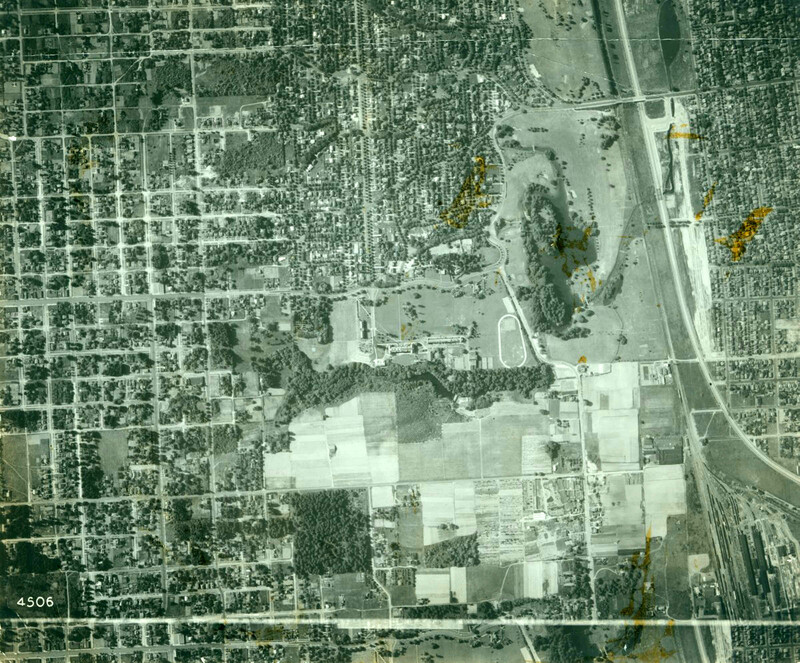 Posted in 1940s, Aerial, Southeast, Woodstock Blvd. Tagged Eastmoreland, Historical Photo, Oregon, Portland, Reed College, Woodstock Blvd.